Robert E. Lee statues and those of other Confederate soldiers are coming down across the south. They are coming down at the instigation of Lefty agitators who argue that the statues honor the Confederate soldiers who fought to maintain slavery. I do not want to get into the complexities of the civil war here. I am more curious about the Lefty argument to take the statues down even if we grant them that the war was fully about slavery. Why should a city, state, or federal government put statues in public parks? Doing so addresses no plausible market failure, while using taxpayers funds and, as demonstrated tragically over the past few weeks, generates controversy, polarization, and violence. Thus governments should take down all statues, regardless of their political implications. This is not “erasing” history but instead leaving it where it belongs, in the hands of private actors and mechanisms. Historians, textbook authors, universities, learned societies, the History Channel, and many other individuals and organizations can all present their own views of history and battle for the hearts and minds of the public. Government statues are government putting its thumb on the scale, which is one step down the slippery slope of thought control. 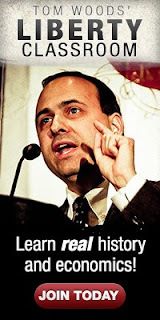 He slips from pure libertarianism only by introducing the shaky concept of "market failure." But it appears what Lefties are doing once again is attempting a sort of thought control. They block conservatives from speaking, they "demand" the firing of conservative employees and now they argue for the taking down of imagery that they dislike. Like the imagery or not, their demands are continuing steps on the thought control road. It is remarkable that they are doing so in the case of the statues. In their full-on attempt at total thought control, they have lost all creativity. What could be easier to mock than statues of Confederate soldiers who LOST a war? Indeed, Confederate General Stonewall Jackson was shot by one of his own soldiers and died just days later. This was a bloody horrific F-Troop before living color television. Has the Left lost all creativity? Can the Left only move in the direction of thought control? We are told that most of the Confederate statues were not erected in the aftermath of the Civil War but during the Jim Crow period as a way to intimidate blacks. Well, gee, how did that intimidation work out? If the Left was creative and not fully obsessed with thought control, they would leave the damn Confederate statues alone and buy small parcels of land in the South and put up their own statues. 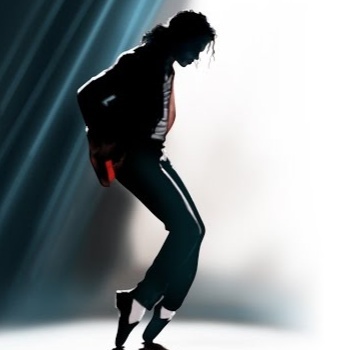 How about one of Michael Jackson doing the moonwalk on Lee's coffin? And maybe one of Tina Turner on Jackson's coffin? They want the statues torn down because of the slavery in the south and the Confederate support of that slavery. But to be anti-slavery (a good thing) is about freeing men from control by other men. There is nothing good about control, be it thought or physical. by others. And, yet, the teardown the Confederate statue effort is about control of imagery (thought). And, I point out again, quite wacky imagery since the Confederates lost the war. Who the hell puts up statues to losers? It appears to me that the Left in calling for the removal of these statues is more in line with the tactics of Confederate generals than they understand. We are told, for example, that Lee was a great military tactician but that he may have lost the war because of weak strategy. Lee’s major flaw, though, was as a strategist. In a word, he was not. His concern was northern Virginia and nothing else. Throughout the war, he resisted attempts by Jefferson Davis to draw forces from the Army of Northern Virginia to reinforce the western armies. Only once did it happen, when Longstreet went west and fought at Chattanooga, but not without Lee’s efforts to stop it. He also opposed attempts to make him commander-in-chief of Southern forces until it was too late for it to be of any benefit. Additionally and most importantly, he failed to realize that the Confederacy’s best hope of survival was to hold out. Since the South had a lack of fighting men compared to the North, its best hope was to keep casualties to a minimum, to live to fight another day. Lee’s offensive tactics ensured the Army of Northern Virginia sustained greater casualties than it could afford. Had he fought defensively most of the time, Lee would have saved soldiers who could fight again, perhaps outlasting the North’s will to win. The Left has made a great tactical move of its own by calling for the statues to be taken down. It is hard to argue in favor of Confederates but most people know at a gut-level something else is going on. It is a strategic blunder, of the enormity of Lee's blunders, to attempt this type of thought control. It builds resistance. The election of the very flawed Donald Trump as president is an indication of the resistance to the cultural Marxist, social justice warrior, tactical thought control. There will never be a full-out thought control win by the Left. It is an attempt to win against nature. Slavery didn't survive, the Jim Crow laws didn't survive and neither will Lefty thought control. The argument used against "losers" erecting monuments is somewhat flimsy. Should Japan tear down Hiroshima's peace monument? Rome lost to barbarians, so take down the colliseum? I understand your point, just think it can be filled in more completely. For instance, the protesters could go to the losing confederate statues and make a statement about race and the "losing" Trump in the same way one can make a powerful anti-war and anti nuclear statement at Hiroshima. That they argue instead to remove statues of no physical or contemporary consequence, is indeed foolish and a strategic blunder. The Civil War was most definitely not only about slavery. It wasn't so until later on in the war that Lincoln (racist to the core himself) decided it would be a great strategic move to make it about slavery. It started out as a rebellion against a tyrannical remote government. That is why it has to go down the Memory Hole, Mr. Smith. but the problem with that thesis is the same variety of lefties are pushing for succession in California. now that may disappear when the democrats are in power again but then it becomes a right wing thing to use. the whole thing is an exercise in preening by local politicans looking to boost their profile and its great for us; the more places that get used to the idea that you can give the finger to DC and the state capital, the better. 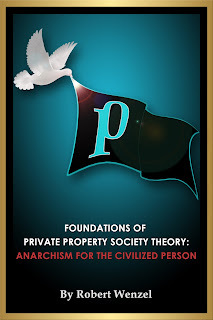 This appears to be the natural evolution of statism/collectivism over the past 100 years, moving from such things as having the gov't determine: how much of your earnings you can keep (Income taxation to fund itself 1913); who you can and must associate with (so-called Civil Rights Act 1965); what substances you can put in your body (Prohibition II, the war on (some) drugs 1971); and, finally what thoughts you can express publicly (via the tearing down of public historical statues associated with implicit and explicit political meanings 2017). Not too long ago I made a reference to the threat of gov't regulating what people think (put into their minds) and my "conservative" acquaintances scoffed. No more. While I'm against the idea of "public property" and the use of confiscated taxpayers' income to fund the erection and maintenance of statues to members of the state on such property, if this WERE a valid endeavor I would question the idea that the deciding factor should be whether one side has won or lost a war, because that ignores the question of which party, if any, had a just cause. I'm somewhat amused by the fact that I'm guessing many of those now pining to take down or destroy these statues were shocked by, and objected to, the Taliban destroying statues in Afghanistan a number of years ago. "Most Confederate monuments were, in short, the result of private groups colonizing public space. Over the past decade, Southern legislatures have passed laws requiring approval from state legislatures before any historical monuments can be moved, removed, or altered — thereby freezing those private decisions in place. A controversy in Reidsville, North Carolina in 2011, which failed to attract any national attention, offers a window into the origins of Confederate monuments and their contested “ownership.” That year, an errant driver plowed into the generic Confederate soldier memorial that stood precariously beside a major street in the small town, 25 miles north of Greensboro. Because other motorists had previously hit the monument, the UDC, which had funded and erected the monument in 1910, decided the sculpture would be safer if it was moved to a nearby cemetery. But in a strange twist, the plan was blocked when the Sons of Confederate Veterans, another Confederate heritage organization, sued the UDC to prevent the relocation of the monument. Eventually, the UDC prevailed and the restored monument was rededicated in the cemetery in 2014. The city itself was a spectator in this legal fight. Had the dispute flared after 2015, when the state legislature passed a law effectively blocking the removal of monuments, the UDC would have had to tangle not only with neo-Confederates but also with state legislators." 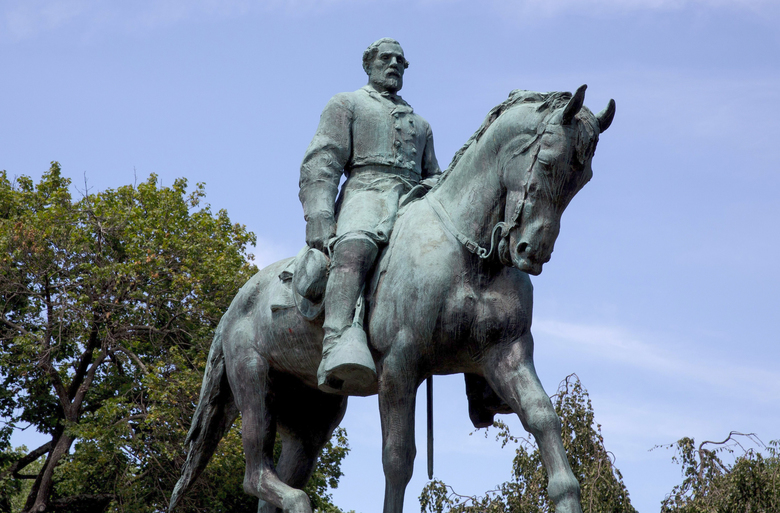 If Charlottesville had been able to transfer their Robert E. Lee statue as their city government decided, The NAZI’s, KKK, and other white supremacists from all over the country wouldn’t have had its possible removal to protest. “Lefty Agitators” didn’t prevent Charlottesville from transferring an offensive statue from their public square to somewhere else. Supporters and users of the state laws mentioned above did.